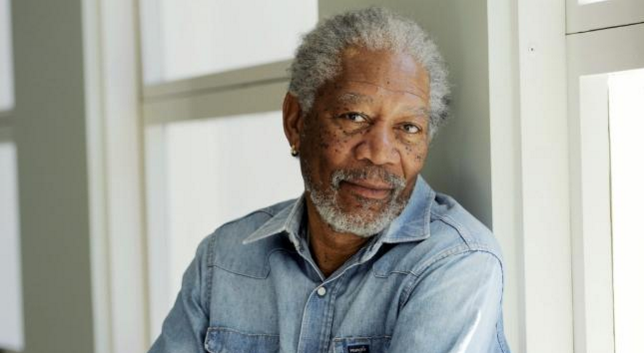 Morgan Freeman had a narrow escape when the private plane he was flying on was forced to make an emergency landing. The veteran star was flying from his home in Clarksdale, Mississippi, to Houston, Texas, when the jet blew a tyre and had to touch down about 36 miles north of where it took off, WMC Action News 5 reported. Morgan, 78, and the pilot walked away unhurt but the plane suffered additional damage. The actor said in a statement obtained by E! News that he was en route to shoot a segment for the series The Story of God, in which he serves as the host. “Sometimes things don’t go as planned and a tyre blew on take-off, which caused other problems. But thanks to my excellent pilot Jimmy Hobson, we landed safely without a scratch. Morgan is also a keen pilot and has had lessons from Hobson. He has previously stated that he likes to fly himself whenever he can.